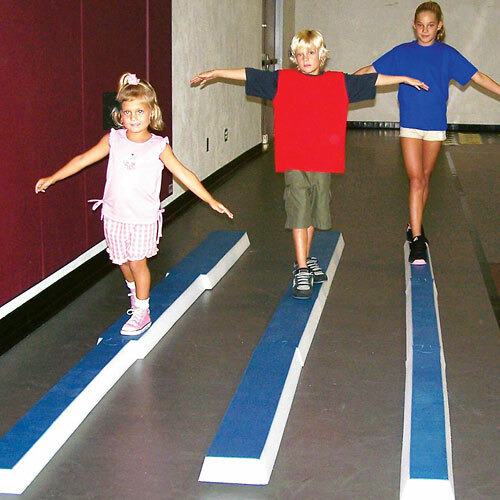 Soft T’ Beams™ promote self-confidence by allowing each student to perform to his or her level. Each polyethylene foam beam is strong yet lightweight and reduces the fear and risk of injury associated with wood and steel beams. Each beam is 12’ long x 3" high and come in three 4’ sections that connect with a unique interlocking design. The Tuff Skin vinyl top adds to the durability and strength while the beveled wider bottom provides increased stability to each beam. Set of 3 beams, each beam is 8" wide at one end tappers to 4" at other end.